Recent tariffs on Chinese glass had little effect on glass art classes because of a plentiful budget this year. 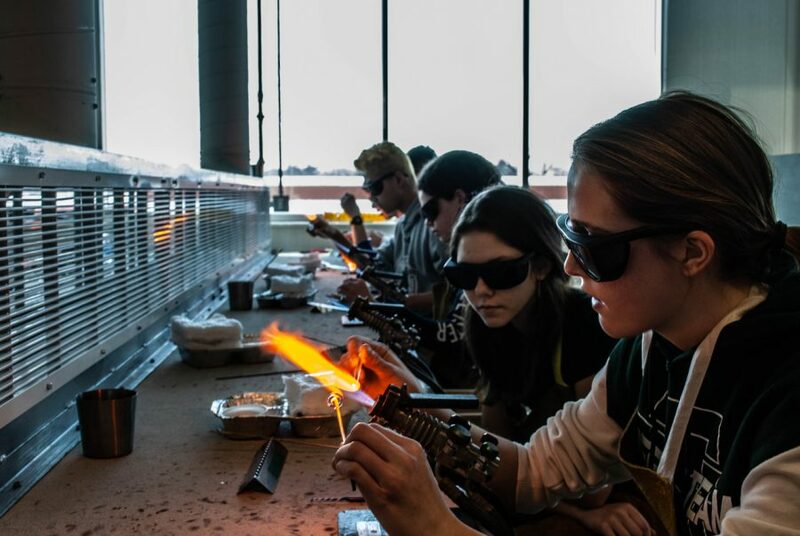 Glass art is not offered at many high schools, but is one of the most popular electives at NT. The state-of-the-art studio on the fourth floor of the new building is equipped with kilns, torches, and other tools. According to glass art teacher and club supervisor Monique Roberts Boyd, the school orders its glass from Ed Hoy’s International. The company has both a wholesale and retail shop in Warrenville, IL. Like the rest of the US economy, Ed Hoy’s has felt the impact of the trade war. The trade war between the United States and China means both countries have placed tariffs on each other’s imported goods. By doing this, goods imported from China to the US have been taxed, making them more expensive. President Trump implemented this 10 percent increase on $200 billion worth of goods, including glass, over the summer. With no end in sight, the tariffs will continue, and in March, Trump plans to increase them to 25 percent, according to Business Insider. The school orders the glass supply in bulk at the beginning of the year, so the tariffs have yet to affect the class. As for next year, it is unclear whether the tariffs will continue, but the art department is prepared. If come August the tariffs are still in place, Alicia Landes, the Art Department Chair, will reach out to the administration and business offices which will help balance the budget for the class. 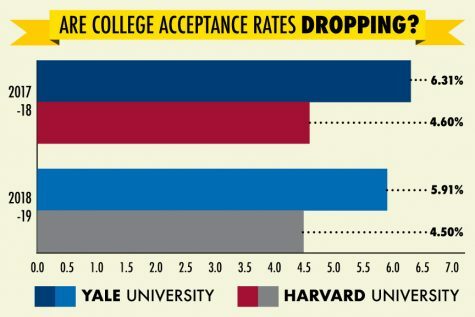 “When we have increases like that, generally they [the business office] will support it if there is a need,” said Landes. The same issues have affected the glass blowing program at Punahou School in Honolulu, HI. However, Punahou orders their glass in batch form from the west coast. “In addition to melting from batch, we also have an active recycling program,” Mitsuda explained. Scrap glass is melted and reused, and the entire process involves students in every aspect of shaping glass. 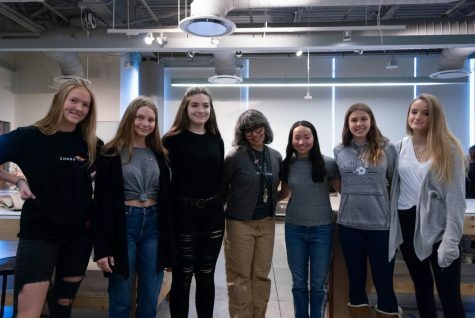 At New Trier, the glass art program is divided into three year-long classes that teach students to use the properties of glass for artistic expression, according to the course description. Boyd said that she discovered her appreciation for glass art while working here. Glass art was first offered in 2000 as a club, and when participation “ballooned,” she proposed a class in 2005. Its popularity comes from “the exoticness of it,” said Boyd, who is aware of the tariffs and knows that the school will do what it can to keep the program as available as it is now. As of this year, there are nine glass art classes and an after-school club that runs Monday, Wednesday, and Thursday. Assuming there are 25 students per period, that’s 225 students in total. It’s hard to estimate how much glass is used per month, but Boyd said, it’s a lot. 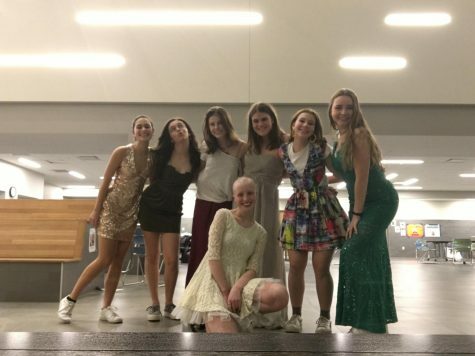 Sophomore Reilly Burton used glass art club to see if it sparked her interest: “The club was a lot of fun and it allowed me to try something new,” said Burton. Burton is thinking about taking the class next year and hopes that the tariffs have no impact on the class. She would take the class even if it meant a higher fee or fewer materials to choose from. Burton is grateful that the school has a such a flexible budget when it comes to the arts. Despite the business office’s support, the class hasn’t gone completely untouched. Glass art requires special eyeglasses for torching that filter out the dangerous wave lengths of light.